Alice Rohrer died peacefully on Wednesday morning, January 23, 2019, in her home. She was born September 6, 1923, in Cincinnati, Ohio, to Dr. Louis J. and Alice Truitt Hendricks. She earned her bachelor’s degree in 1943 from Ohio Wesleyan University where she was a member of Kappa Kappa Gamma social sorority and Phi Beta Kappa honorary society. She earned a master’s degree from Indiana University in 1974. Alice married Hubert Rohrer on October 5, 1949. They settled on a farm near North Vernon where they raised sheep, chickens, a succession of dogs and a cat, and four children. Their marriage lasted nearly 62 years until Hubert’s death on June 20, 2011. They enjoyed attending theater, including high school shows and the Jennings County Players productions, and the opera at Indiana University. They shared a love of natural history, history, art, and literature and enjoyed visiting natural areas, museums, and historical sites on their travels throughout the U.S. And, together, they were committed to a life of service to the community, especially children, and to the church. Alice taught sixth grade at Southside Intermediate and the North Vernon Elementary School for 17 years, retiring in 1984. She was a substitute teacher in prior years. She loved working with children. She delighted in the successes of her students and learning about their lives. Before her marriage, Alice worked as a professional Girl Scout and summer camp director in Cincinnati. After her marriage, she established and led Girl Scout troops in North Vernon (1950-1972). She organized day camps throughout the Tulip Trace Council when it was first formed in the early 1960s. She represented Girl Scouts on the Jennings County United Way board. There were usually Thin Mints in the freezer. It was her call and her pleasure to help girls and young women see their worth and reach their potential. Her other community activities included membership in the Wednesday Research Club for more than forty years and service as a Cub Scout den mother. Late in her life, she served on the committee to select the Lilly Scholarship recipients in Jennings County. Alice’s faith was straightforward, strong, and shown by her service to the Lord. She was a member of the First United Methodist Church and valued this community. 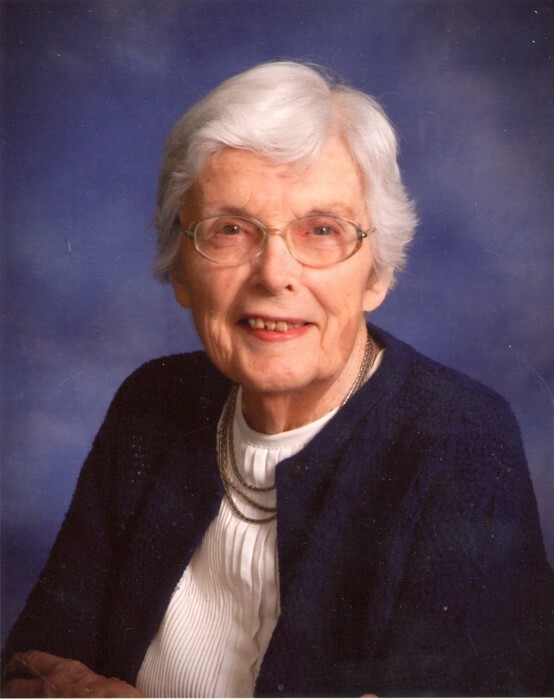 She was active in United Methodist Women locally and in the district. She served on the conference’s Commission on the Status and Role of Women. A Girl Scout is a friend to all. Alice always enjoyed talking to people and getting to know new people. She had a genuine interest in people and really listened to them. She took to heart the Girl Scout song: Make new friends but keep the old; one is silver and the other gold. She is survived by her four children: Alice (Dennis) Mills of Ontario, Oregon; Ralph (Mindy Jester) of Lafayette, Indiana; Bill (Susan Pietrzak) of Garwood, New Jersey; and Chris (Barbara Guy) of Salt Lake City , Utah; by her eight grandchildren: Cassie (Ryan) Strong, Kerry (Max) Loranger, and Kitty Mills; Frank, Freda, and Karl Rohrer; and Ruth (Steven) Orozco and Joe (Katharine Seagly) Rohrer; by her nine great-grandsons (and an awaited tenth great-grandchild). She loved her many nieces and nephews. Alice was predeceased by her husband, her parents, and her brothers, Louis and John. The family thanks Charlene Sproles for her exemplary caregiving in the past year. The family thanks the nurses and aides of Our Hospice of South Central Indiana for their help in Alice’s final month. Memorial contributions may go to the First United Methodist Church of North Vernon, the Jennings County Players, or the Girl Scout troop of your choice. Memorial service will be held at 11:00 a.m. on Saturday, March 16, 2019, at the Frist United Methodist Church in North Vernon with the Rev. Marvin Sweet and Rev. Joe Wyatt officiating. Friends may call on the family from 10:00 a.m. until time of service on Saturday at the church. Dove-Sharp & Rudicel Funeral Home was entrusted with arrangements.